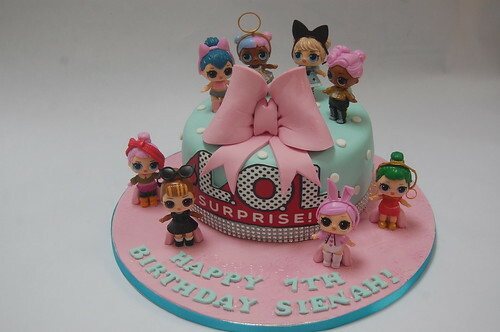 We didn’t know this Netflix programme, but were delighted to receive the commission for such a cute and colourful cake. 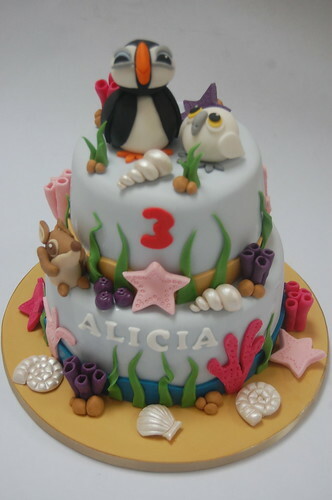 The Puffin Rock Cake – from £90. 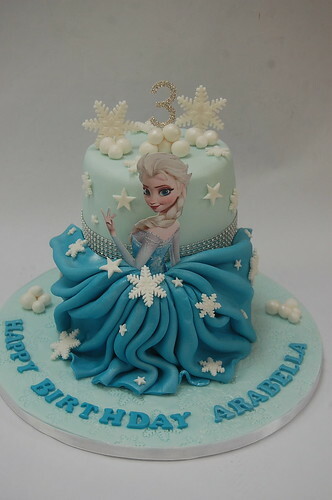 We have to admit to being rather stumped when a customer requested a Greek Myth Cake, but we were absolutely delighted by how this turned out! 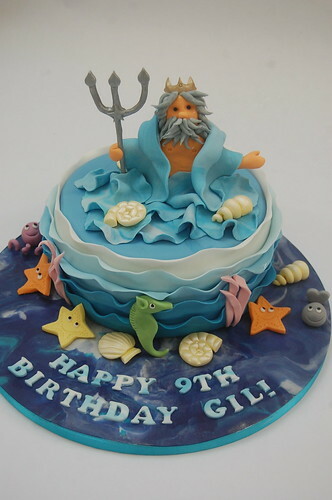 The Poseidon Cake – from £80. Yay! We finally got to make a Teletubbies Cake! Such fun! 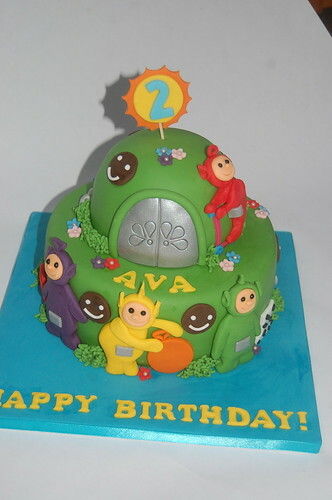 The Teletubbies Cake – from £75. This was certainly a new one on us! Extremely iconic (if also a bit grumpy!) 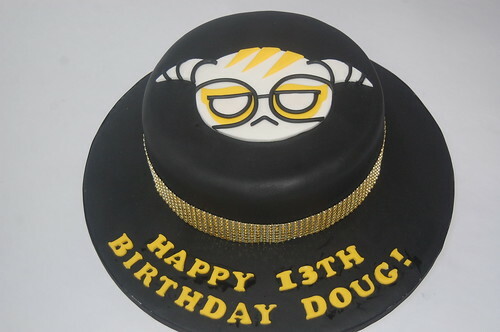 The Japanese Gaming Character Cake – from £60. Remember Del Boy, Rodney and Granddad? And who can forget the 3-wheeler van? 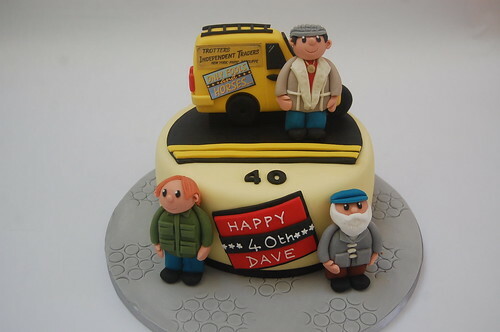 The Only Fools and Horses Cake – from £80. What a brilliant option for a joint party! 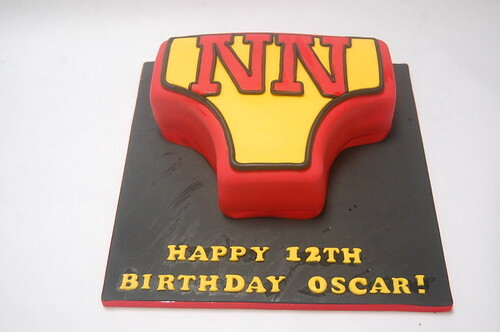 Combining the beauty of a stunning centrepiece in both boys’ favourite colours with 2 delicious cake flavours. 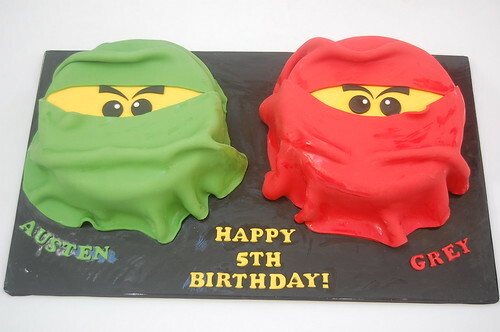 The Double Trouble Ninja Cakes – from £80. A new one on us, but sure to be a hit with all Avengers’ fans! 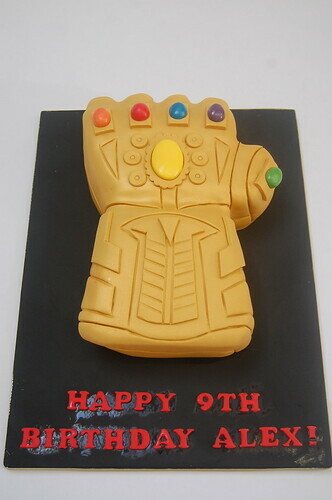 The Infinity War Gauntlet Cake – from £75.